This page last revised November 27, 2015. New orders receive up to 70% off SiteGround web hosting plans. 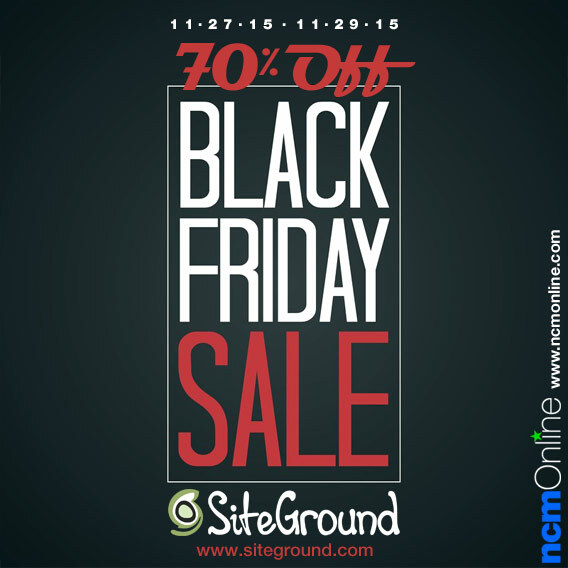 SiteGround is offering new customers huge discounts during their 3-day Black Friday Sale. That means for limited time only, web hosting plans will be starting at only $2.95 per month! Receive up to 70% off new hosting plans on Friday, 11/27/15; Saturday 11/28; and Sunday, 11/29/15 only. Offer applies to new hosting orders only. Not valid for renewals, domain registrations, or “add-on” services. Discounted services renew at the regular rate. Use the link immediately below to contact SiteGround directly for definitive offer details including expiration date, exemptions, and valid applications of discount.